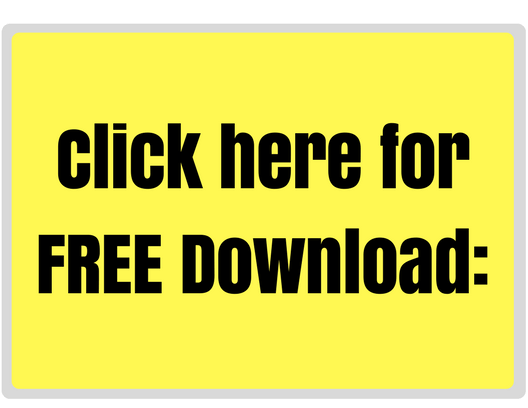 Inside: Do you struggle to get your kids to listen to you? 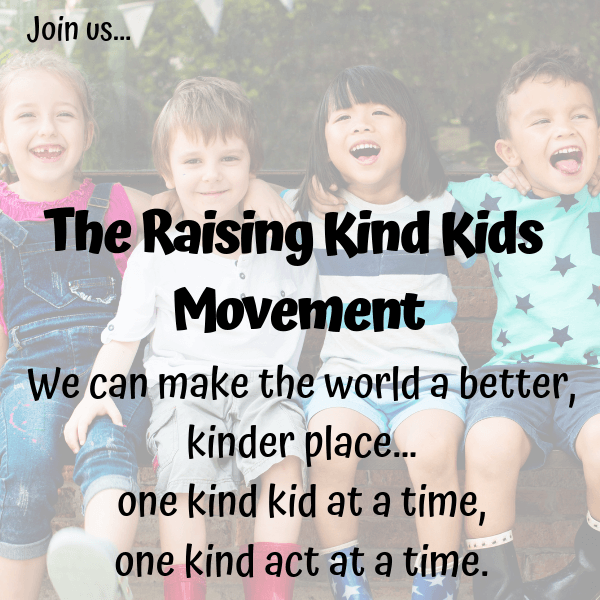 Are you desperate to have your kids be kinder? Do you want to implement consistent Family Rules, but don’t know where to start? 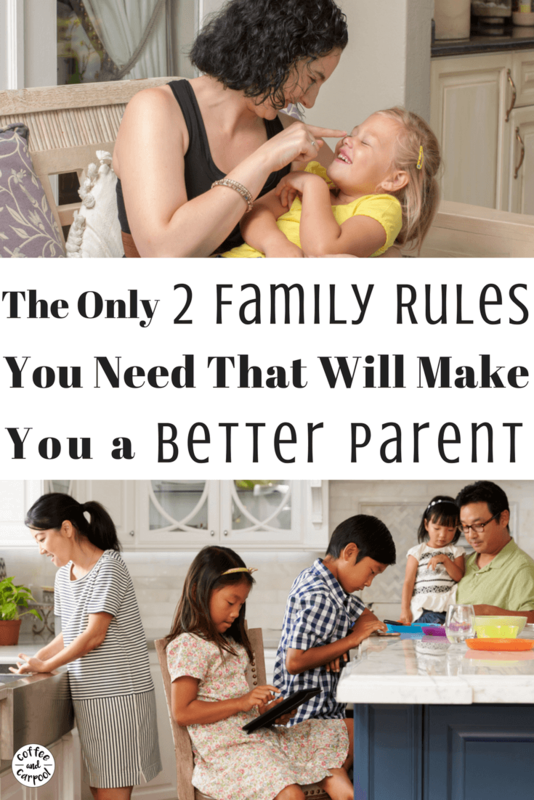 All you need are these two family rules. I have a proclamation to proudly announce. I got my kids to school on time without yelling at them to hurry up and get ready. This is a big deal, you guys. I’m either calm and we’re late or we’re on time and I yelled. There really hasn’t been a school morning that was both calm and on time. 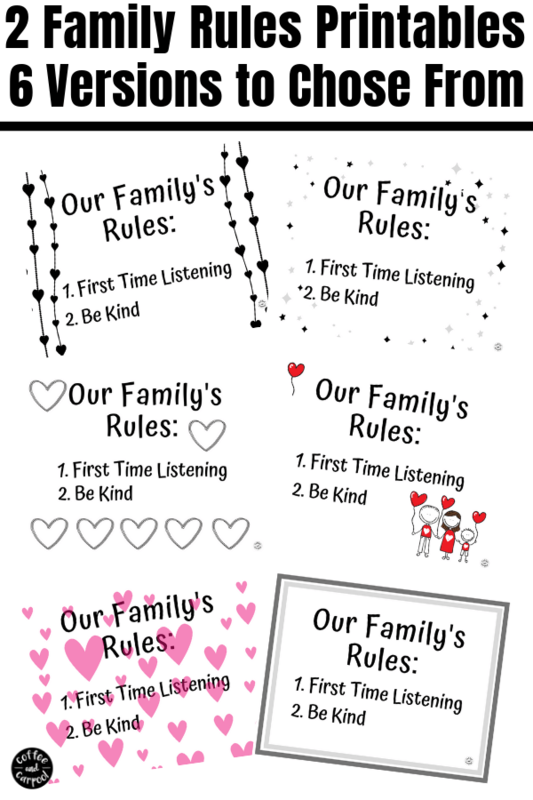 But we started implementing some new procedures that help our kids follow our family rules better. And it worked. Now that’s not to say it’s going to work every time. Yet. But if we keep at it, I know we’ll have more calm mornings than not. And I know it’s mostly because my kids knew what I needed them to do. They knew what I expected from them. They knew our two family rules are non-negotiable. And today, they followed our rules. Which got us to school on time in and in happy moods. As a first-born overachiever, a-type, recovering perfectionist, I love rules. I love knowing the rules so I can then follow the rules. Because rules tell me whether I’m in good standing with society, my friends, and my family. 1.Rules give much-needed boundaries to my kids. 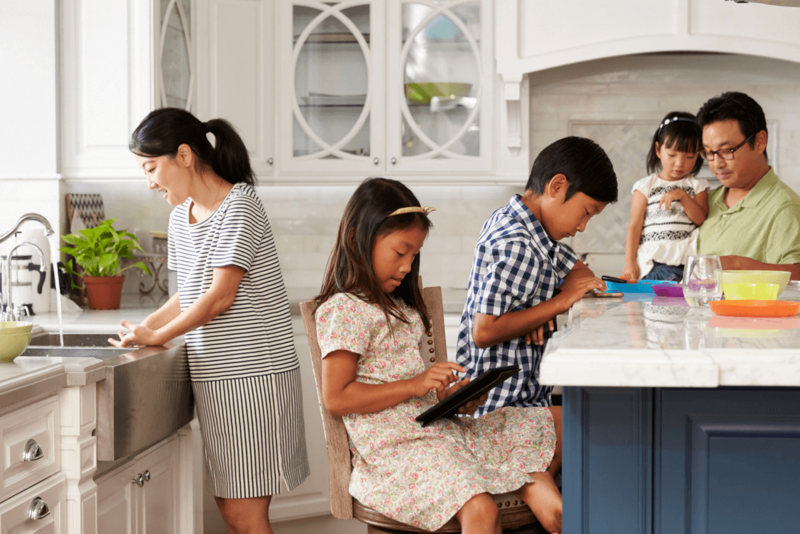 Kids may balk at them at first, but studies have shown over and over again, that kids crave rules. They want rules. (They may not know it, but they do). Because kids need to know there’s an adult or several adults in their life who care about them enough to make and enforce rules. 2. My kids will thrive when there are rules that are enforced. Consistently. They thrive when they know what to expect because then they are more likely and able to meet our expectations. When they know what behaviors I expect from them they feel more in control of their day and their lives. They will feel successful, no matter how small of a success it was for them. Please put your dirty clothes in the hamper, they do it, success! Please stop peeing on the toilet seat, they do it, success! Please be kinder to your sister, insert sweet, genuine compliment to sister, success! 3. Rules keep my kids safe. 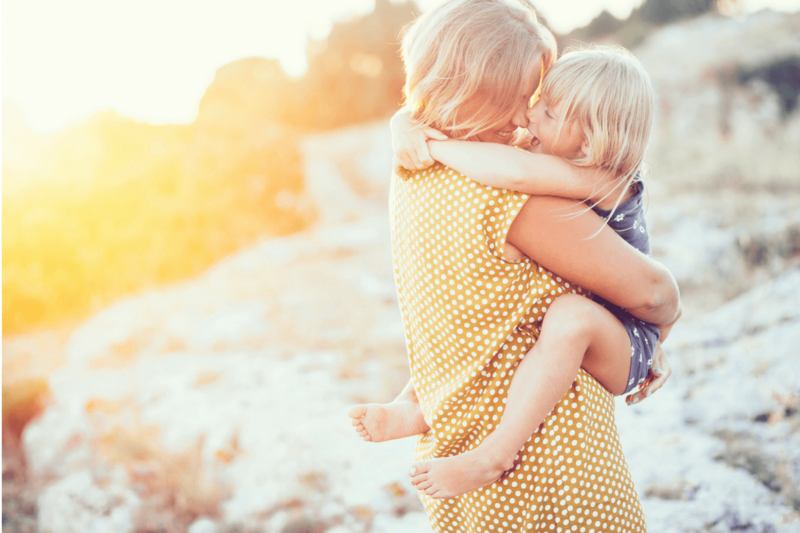 It’s my number one job as a mom to keep my kids safe and to help them make choices that will keep them safe when they’re older and more independent. My kids know they can’t cross the street without looking both ways, and how to carry scissors safely, and the non-negotiable merits of holding my hand in a busy parking lot. 4. Rules keep my kids from being a-holes. This is my second most important job as a mom. I want to raise kind, caring, thoughtful kids. Boundaries and rules teach social skills and place importance on the things we value as a family. We place emphasis on helping someone rather than laughing when they fall, holding the door for people behind you, and carrying your dishes to the sink because it’s the maid’s day off. Rules make my kids people I want to spend time with. and for the love of everything, stop taking stuff that’s not yours. The list of family rules could go on and on if we let them. Because it’s our job to make sure our kids are safe and turn out to be the best people they can be. But that list would be overwhelming. And unruly. And therefore, hard to follow because there’s no way to remember it all. Which sets them up for failure rather than success. And it sets me up for frustration and yelling rather than calm and happy. Kids’ brains are hard-wired to hear little pieces of what you say. And what you say over and over again will stick. Eventually. For better or worse, we will become our kids’ inner voice. The words we choose will be remembered when they’re sitting on their therapist’s couch. So my mission is to give them something positive to hear as many times as I can. When we say “no hitting,” our two-year-olds hear “hitting.” But if we say “keep your hands to yourself,” that’s what they will hear and one day remember. don’t take off your clothes becomes and we stay clothed in front of guests. 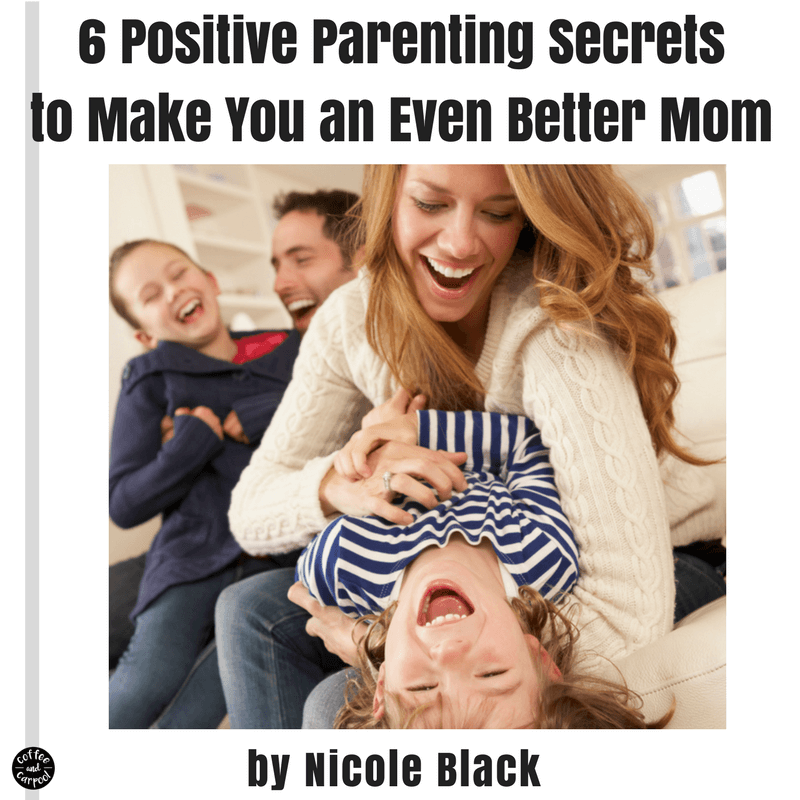 RELATED: Do you want to be a more Positive Parent but not sure what it is? 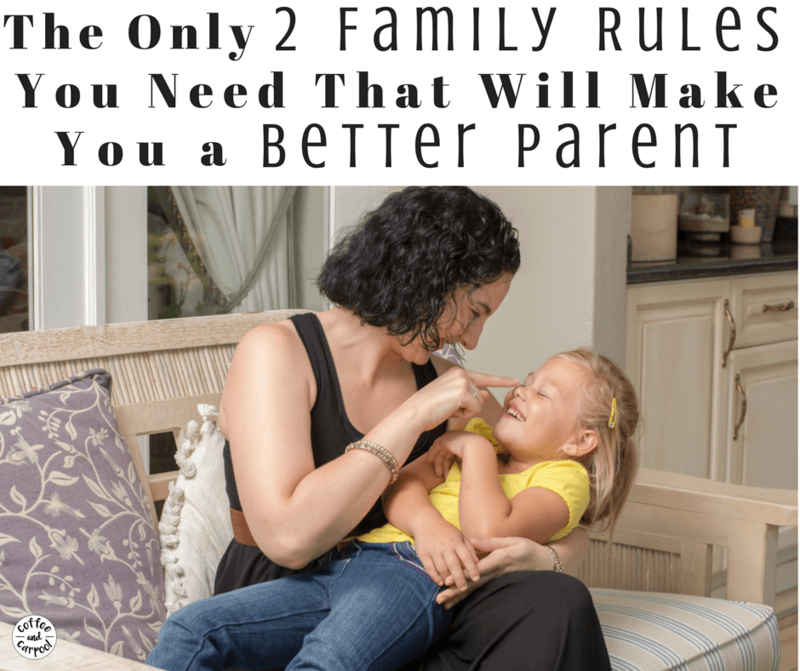 Because our kids hear only snippets of what we say, instead of a ton of rules on a long list, we’ve narrowed all of these positive rules into only two family rules. They’re easy to remember. And they’re easy to talk about. And more importantly, they’re simple to follow. When I drop my kids off at school or a playdate, I remind them of our family rules. When we walk into a library, or a place of worship, or a restaurant, I remind them of our family rules. And it takes less than 10 seconds. 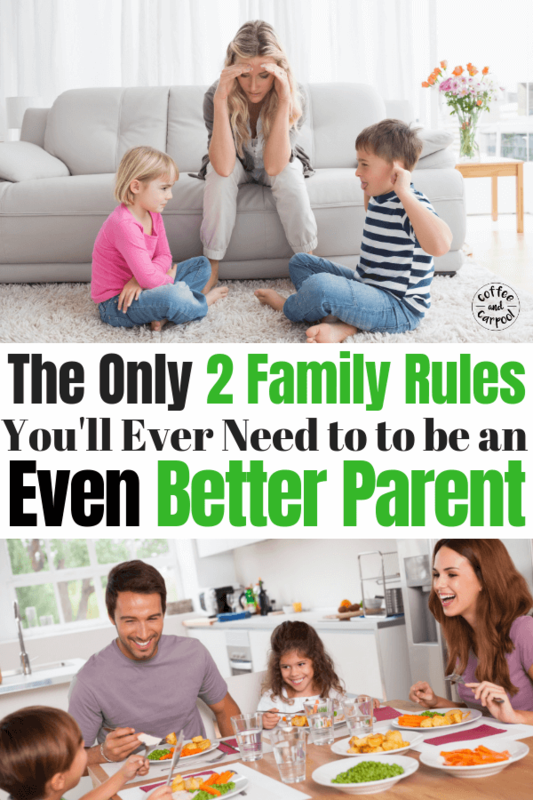 All three of my kids can tell you our two family rules and explain them anytime you ask. Do they always follow them? No. That part we’re still working on. But they do know what we expect of them. Because these two rules cover everything. 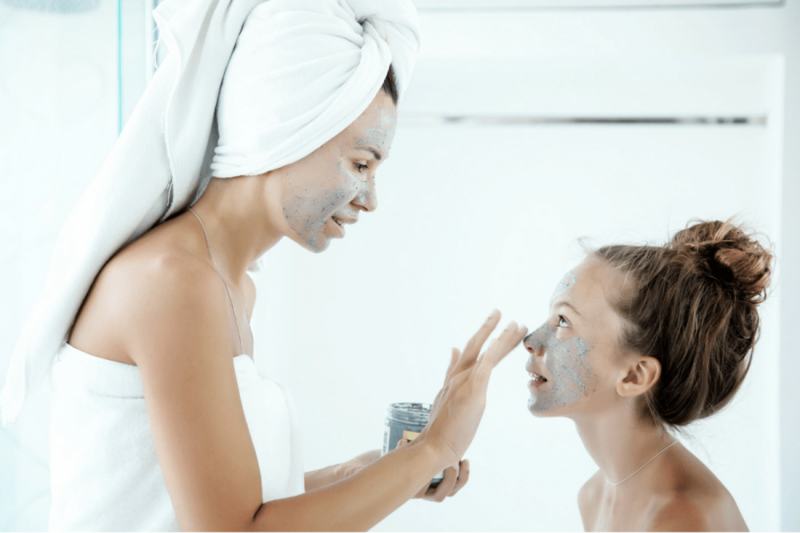 Before you get skeptical that these two rules can really replace the long list of rules you may want your kids to follow, let’s break it down. 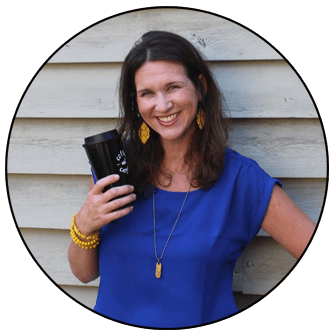 The Be Kind Rule covers everything that involves how they interact with the world, their friends, and their family. Since my goal is to raise kind children, this rule is pretty important in our house and carries heavy consequences if not followed. using manners: please, thank you, no thank you, you’re welcome, excuse me, and bless you. It really encompasses all things to make my kids better, kinder people whom others would enjoy being around. First Time Listening is the act of hearing me say something and listening the first time–before I have to say it again. It applies to everything from putting on your shoes in the morning, to no TV on school mornings, to helmets are not an option when bike riding. More importantly, it works for things I repeat ad nauseam and am frankly tired of saying. These are the rules that keep them safe, healthy, and make them easier to live with. Anything you tell your kids to do or ask your kids to do falls into this category. For younger kids who really struggle with first time listening, we use this tried and true trick to get them to WANT to listen. It’s kind of like magic. And when you think about it, the two rules overlap: It’s kind to your parents to be a first time listener and since I’ve said it a thousand times, it would be first time listening to be kind to your siblings. But that may be a little too whittled down. For now, we’ll keep it to these two rules. So hopefully, we will have more sibling compliments, a cleaner home, and calmer, no-yelling school mornings. And less pee on the toilet seat. 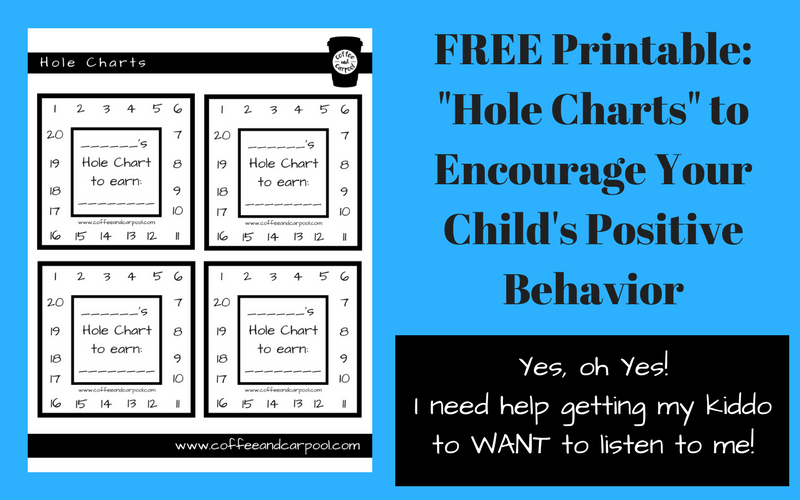 You can use the hole punch system for either listening, being kind or both! My youngest is pretty kind but needs help on the first time listening part of life. So that’s what we focus on for her. My tween would benefit more from the being kind incentive. I have tried negative consequences. But honestly, they rarely work long term. The positive always gets her listening faster and more consistently! !